At least 35 people have died after a passenger bus collided with a fuel tanker and burst into flames in southern Afghanistan. Afghan officials said on September 4 that the road accident occurred in the province of Zabul as the bus was on its way from Kandahar to Kabul. 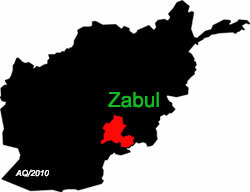 Gul Islam Seyal, spokesman for the provincial governor in Zabul, said that more than 25 other people were seriously wounded, with some in critical condition after the two vehicles collided in Shar-e Safa district. Seyal blamed both drivers for being reckless. In May, 52 people were killed on the same highway, but in Ghazni Province, in a collision involving two buses and a fuel tanker.